Year ago I used WordPress.com, as most of us, I guess. When the time to move to WordPress.org has come, I found it quite difficult to make the move with the tools I had that time. Especially the photos were awful to move. So it was so difficult I decided to quit and start it over from zero on WordPress.org. But that was about 5-6 years ago. Now it looks really easy to move it. It is, Jordan – as we’ve proven! Maybe it’s time to give it a go with your current website? Thank you so much for such a detailed “How To”. This is a resource I would be happy to direct my readers to. It’s funny, I never even considered the possibility of migrating one to the other. I always considered them as two total separate entities and I have always advised anyone who asked, to start with a self hosted wordpress without any thought of the possibility they could migrate their existing blog/site. Thank you for the kind words, Graham! 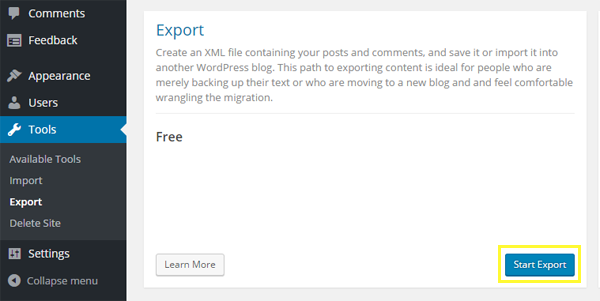 As you can see, WordPress makes it easier than ever to migrate! 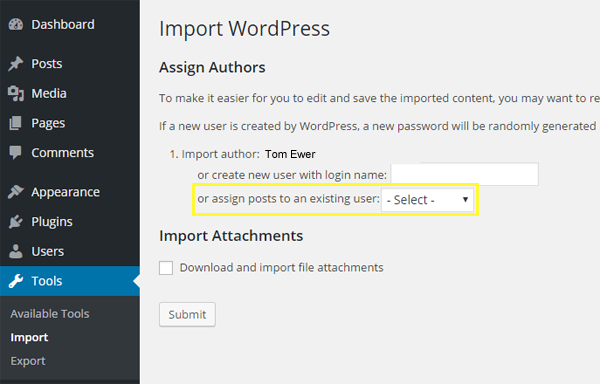 If we don’t impose a redirect from wordpress.com to a selfhosted blog. won’t it create duplicate content issue? It depends what you mean by “issue” NIkhil. Google doesn’t penalise duplicate content; it simply prioritises it. So if you keep your old site online but not updated, and your new one is updated, Google will be likely to rank your new site over the old one in short time. Awesome guide with explaining every single thing in detail. Informative post for newbie and experienced as well. 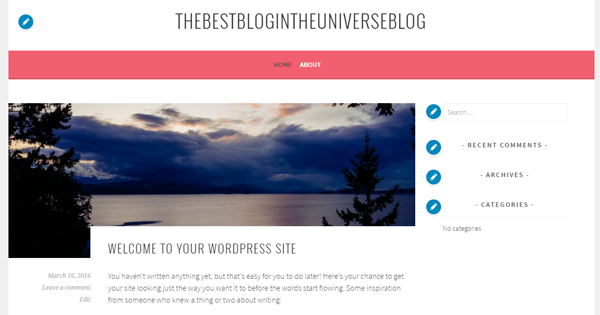 I also started with wordpress.com to see how to use WordPress for publishing blog but I moved to self-hosted wordpress blog later. Glad you enjoyed it, Deepanker! This is amazing guide for beginners and also for those people who pays money for doing this simple task. Thanks for the valuable post!!! No problem, Emil! Glad you enjoyed it! Thank you very much for this explanation and your nice efforts . I use wordpress and i like these kinds of articles because i can make it as a reference for me . Hey – what a very detailed guide. I love it and will sure be using your guide for my next project. Thanks for this article. Before migrating to any platform it is important to identify the pros and cons of a platform and see whether the new platform cam satisfy business needs or not. Before migrating a WordPress site, explore other enterprise web content management service alternatives like Sitefinity CMS, Drupal etc. and decide about what suits you the best. Consider the security measures and adaptivity of that platform. Back up the data before migrating. Consider migrating in small parts so that no data is lost or misplaced. Ensure security at every stage of migration. I have done all of the above and am now trying to load my Divi theme onto my blog but having no luck, HELP! Thanks Tom Ewer for such a great article. Within a week I will be shifting to a new domain. Hi, that’s a very detailed article! This might be a silly question, but how does the WP theme installation fit into the migration process? I’m using one of WP free themes on wordpress.com, but I want to buy a premium third-party theme when I move my site to a new host. 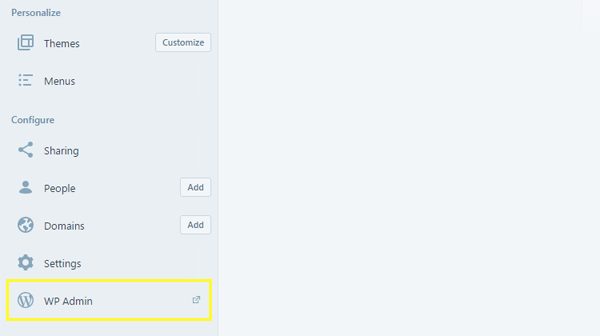 Does the content need to be migrated first and the new theme installed after that or the other way round? Ideally I’d like to install the new theme on my new domain and host, and play around with demo content before transferring my real website over, but is that possible if I’m not a techie at all? Do you have any in-depth articles such as this one that could help me? Thanks for your questions, Auste! I’m having some trouble figuring out what to do when I have a registered domain at WordPress.com already. When I try to install wordpress from my cPanel I get told that the website already has wordpress, which obviously makes sense. However, does that mean I have to ‘uninstall’ or delete my website first, and then install it again via my new web hosting site? I have spent some time getting around this, but I can’t seem to find any other answer than to try and delete the site, after I make the XML-file of course, and then install it again and import the XML. I hope that you can help me a little with this. Very nicely detailed guide by the way. I think you’ll need to look at transferring or deregistering the domain with WordPress.com first, Jacob. This article – https://en.support.wordpress.com/cancel-domain/ – may help you.